In German supermarkets you can find plenty of different kinds of yogurt and quark - with herbs, fruit or plain - low fat, medium or creamy German quark. 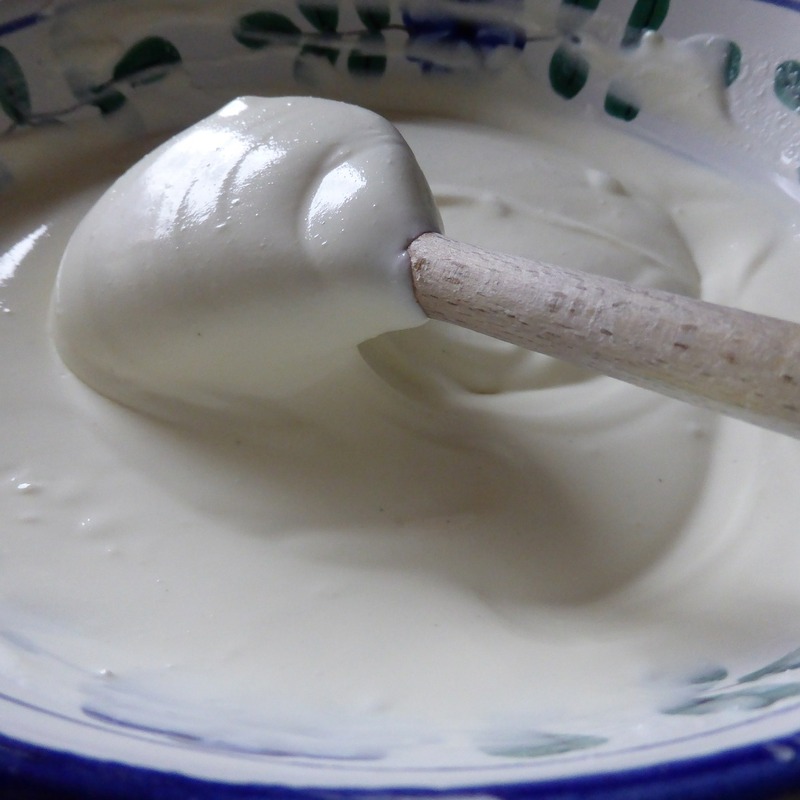 German Quark is used in many desserts, cakes and spreads. It is a healthy snack or tastes delicious with potatoes that we call "Pellkartoffeln". The potatoes will be boiled with the peel and while they are hot, you would peel them. You can mix it with all kinds of fruits, jam, and vegetable. Quark is a healthy bread spread and delicious for many dips. It contains a lot of protein, minerals, phosphor, vitamins such as A and B. You can mix it with herbs such as water cress, chives, basil or parsley. It tastes awesome with strawberries, raspberries or blueberries. Spice it up with pepper, paprika or horseradish. It is a European fresh cheese, soft, white and not aged, the French call it "fromage frais". But don't compare it with cottage or cream cheese, or ricotta, it is completely different. German Quark can be made without the aid of rennet. Here in the USA the milk must first be pasteurized; then lactic acid bacteria are added in the form of mesophilic lactococcus (buttermilk) starter culture. Some or most of the whey is removed. Traditionally, this is done by hanging the cheese in flour sack towels and letting the whey drip off. In industrial production, however, cheese is separated from whey in a centrifuge and later formed into blocks. 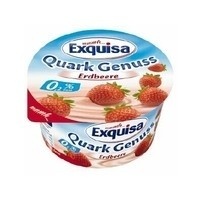 In Germany, Quark is usually sold in plastic container. This type of quark has the texture of sour cream, but is much dryer and contains in its basic form about 0.2 % fat. Quark with higher fat content is made by adding cream. The word quark derived from the Slavic tvarog, (Polish twaróg, Belarusian тварог, Russian творог, Czech and Slovak tvaroh, and Hungarian tъrу) which means “curd”. In Austria they call it "Topfen"; in Swabia "Bibbeleskaes"; "Klatschkies in the Rhineland and "Lueckeleskaes" in the South. On the website are different recipes of how to make German quark. Bring the buttermilk to room temperature (68-77°F 20-25°C) on the stove or in the microwave. Do not over heat or your quark will have a gritty texture. Incubate in your yogurt maker or other heat source (100°F/38°C) for about 8-9 hours. This yogurt/quark maker has very good reviews and comes with a thermometer and a cloth to strain. I am using a yogurt maker since many years and it works just fine. The yogurt is fantastic! I must admit that I have not tried out to make quark with such a machine. Will let you know when I did. See recipe above for quark. 2 liter Milk that needs to get sour - the fast way is to add 1 tbsp lemon juice to the milk and let it rest over night; normally it takes at least 16 hours until the milk is sour. Heat the sour milk (66-77 F) ; don't over heat it. In this process the whey will be separated from the cheese. Let it cool off and strain in a sieve for 12 hours. 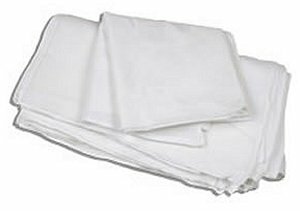 You can use a linen or cotton cloth which is placed in the sieve. For cakes or desserts squeeze the cheese through a sieve so it gets very smooth.